The new Google Profiles interface lets you upload multiple profile photos and switch between them with a simple click. Visitors can see all the photos you’ve uploaded, so you must be careful when you replace a profile photo. It’s not enough to click “change photo” and upload the new image: you should also click on the image and delete the previous profile photo. Profile photos are stored in a Picasa Web album, just like the photos from the Scrapbook section. The main difference is that profile photos can be cropped or edited in Picnik. 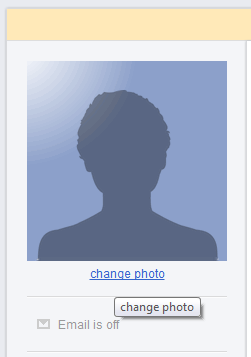 If you already have a Google Profile, it’s a good idea to upload a new profile photo. The new interface uses bigger photos, so your old avatar looks pixelated.